Flying for more than 30 years, Marc has explored Alaska from the snow-capped mountains to the verdant valleys – from horizon to zenith. The owner and operator of an award-winning concrete contracting company in Colorado, Marc is no stranger to labors of love. It is, in fact, his zeal for living in harmony between hard work and devotion to family that drives his Icy Bay Lodge dream. Supported by his wife, Connie, and their three kids, Marcus, Morgan and Bailey, Marc intends to focus even more on exploring the beauty of Icy Bay and introducing our special guests to new, uncharted territories in Alaska. He fell in love with fly fishing in 1992 when he relocated to Colorado with his wife Ruth and their three sons, Jantsen, Cassidy and Carlan. Despite running a successful contracting company for 20+ years while enjoying all the Rocky Mountains have to offer, Todd was never able to shake his boyhood dream of exploring the magic of wild Alaska. He fulfilled those dreams in 2014 when he, along with Marc, purchased Icy Bay Lodge, as it was simply the most beautiful and remote a lodge as he’d ever imagined. Thrilled to be part of the magnificent outdoor playground of this wild frontier, Todd looks forward to introducing Icy Bay Lodge to fellow fly fishermen, outdoor enthusiasts and photographers from around the globe. 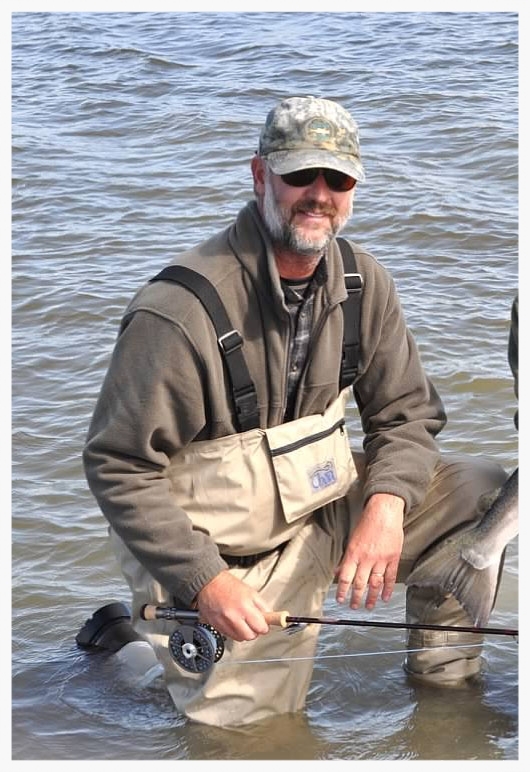 Mike developed his love for the outdoors and fishing when he would return home in the Summers from traveling the globe in pursuit of adventure and split time between rural Illinois and the Texas coast. In the off-season he lives in Denver and fishes all over the Rockies and surrounding states. If there is water with fish, Mike will find it and fish it! 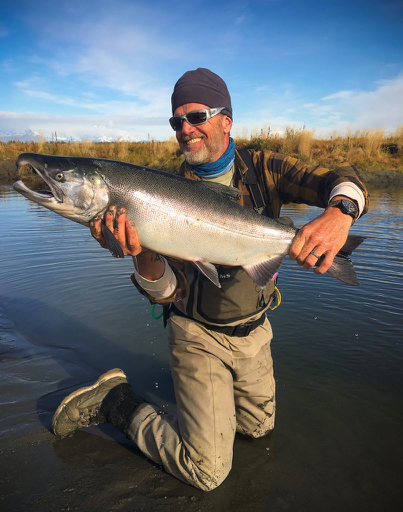 His biggest thrill comes from watching new anglers find success on the water and experience their first Alaskan fish at Icy Bay Lodge. Mike also became a certified boat captain in 2017 and has taken on that task with the usual enthusiasm and passion. John caught his first fish when he was 4 years old and has been catching fish ever since. 50 years of outdoor experience have taught him many things. The most important...to have fun! He has spent the majority of his most recent 23 years guiding fly fishermen and waterfowl hunters in Colorado. 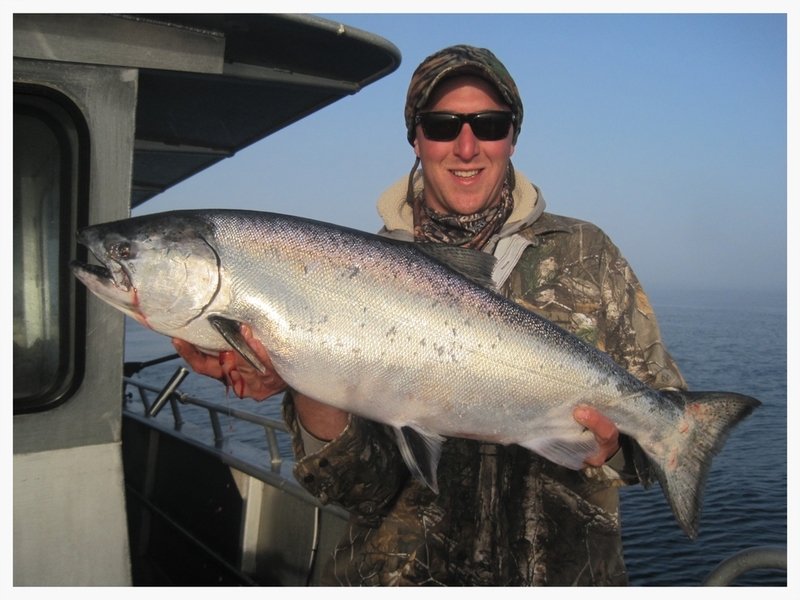 He has been bringing fly fishermen for Silvers to Icy Bay Lodge for 8 seasons and is joining the lodge for the entire Summer and Fall schedule in 2015. His wife, Cindy, will be part of the lodge staff this Summer as well. John can take a beginning fly angler and patiently make them look like a seasoned veteran. With John on staff, even the most experienced will enjoy new levels of angling skill, intensity and success.